Honor 8C has an uphill battle in the form of Xiaomi Redmi Note 6 Pro and Realme U1. Here is how they stack up against each other. Honor 8C, the newest budget device from the Chinese smartphone maker, is now official in India. The e-brand of Huawei launched the smartphone as the new addition to its budget and mid-range smartphone lineup in India. The smartphone joins Honor 8X as the second device in the Honor 8 series of devices, and will go on first sale exclusively via Amazon India and Honor’s online store starting December 10. Honor launched the Honor 8X last month, and has now added Honor 8C as well. The major difference being that Honor is using a Qualcomm chipset with the Honor 8C as opposed to using its own chipset. 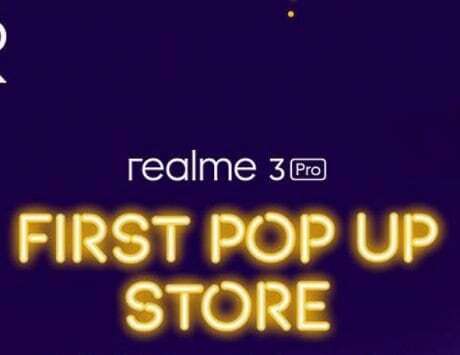 The smartphone will compete against Xiaomi Redmi Note 6 Pro and Realme U1, the two smartphones that were launched only this month. If you are planning to buy a new smartphone before the end of this year then you have just too many options and we aim to simplify that option here. All three devices feature a full display design, and sport a notched display as well. The design, which first appeared on smartphones last year, has become mainstream in just few months. Both the Redmi Note 6 Pro from Xiaomi as well as Honor 8C comes with metal unibody design. But the Realme U1 has a more striking design with polymer glass finish that gives it a translucent finish. All the three devices are built to last and but considering the refresh cycle and the rate at which customers upgrade their devices, these smartphones should last till you replace them with a new one. At the front, all the three models get a similar display in terms of dimensions. The Redmi Note 6 Pro and Honor 8C sport a 6.26-inch display while the Realme U1 has a fractionally larger display measuring at 6.3-inches. The Honor 8C’s display is at a disadvantage here since it uses an HD+ panel while the other two models offer a Full HD+ panel. 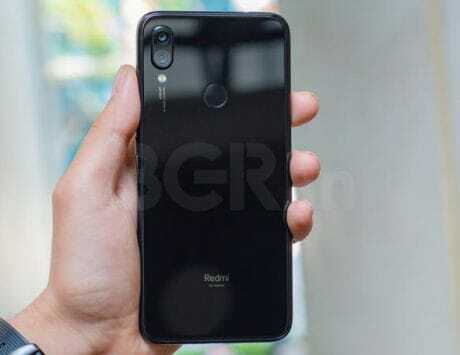 The Realme U1 and Honor 8C also get a smaller notch designed in the shape of a teardrop while the Redmi Note 6 Pro has a wider notch design. The Realme U1 has the most interesting specifications of the pack since it is the world’s first device powered by MediaTek Helio P70 SoC. The Redmi Note 6 Pro is using the Snapdragon 636 chipset while Honor 8C gets Snapdragon 632 under the hood. The MediaTek Helio P70 is fabricated using a 12nm process while the Snapdragon 636 and Snapdragon 632 are based on 14nm process. One thing needs to be taken into account is that MediaTek Helio P70 is a new chipset and would need some testing but Snapdragon 636 is a proven platform after seeing success on models like the Redmi Note 6 Pro and the Asus Zenfone Max Pro M1. In terms of storage, the Honor 8C comes with 4GB of RAM and option for 32GB or 64GB internal storage. The Redmi Note 6 Pro also comes in two storage options of 4GB or 6GB of RAM and 64GB standard storage. The Realme U1, on the other hand, comes with 3GB RAM, 32GB storage or 4GB RAM and 64GB storage. All the three devices support Wi-Fi, Bluetooth, dual-SIM and 4G LTE. They run Android 8.1 Oreo with their respective customization, but it is not clear when they will actually get Android 9 Pie update. As far as battery is concerned, the Realme U1 packs a smaller 3,500mAh battery while the Redmi Note 6 Pro and Honor 8C both house a larger 4,000mAh battery. The imaging experience on a smartphone has been reaching a new standard with every passing year and this year, the mid-range smartphones have caught up in a big way to premium devices. The Redmi Note 6 Pro seems to have the most powerful camera setup of all the three devices. It gets a dual rear camera system with 12-megapixel and 5-megapixel sensor combination. The primary 12-megapixel camera supports dual-pixel autofocus and has wider f/1.9 aperture, resulting better composed images even in low-light. The Realme U1 and Honor 8C have combination of 13-megapixel and 2-megapixel dual rear camera setup. They support usual models like portrait effect and beautification mode. 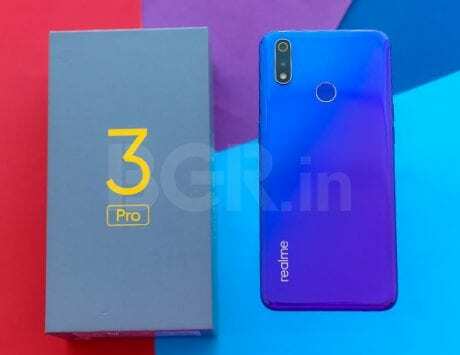 However, Realme U1 beats Redmi Note 6 Pro and Honor 8C with its 25-megapixel front camera designed specifically for capturing selfies. The Redmi Note 6 Pro, on the other hand, has dual camera setup of 20-megapixel and 2-megapixel. This allows for portrait mode images from the front camera as well and there is soft light flash for brighter pictures in low light scenario. The Honor 8C has a single 8-megapixel selfie camera. Xiaomi Redmi Note 6 Pro is priced at Rs 13,999 for the base model with 4GB RAM and 64GB storage. The higher variant with 6GB RAM and 64GB storage is priced at Rs 15,999 and it does seem to offer tremendous value for the features. The Realme U1 is priced at Rs 11,999 for the 3GB RAM variant and Rs 14,499 for the 4GB RAM variant, making it perfect for those looking for quality selfies. The Honor 8C is priced at Rs 11,999 for the 32GB storage model while the 64GB storage model is priced at Rs 12,999, which is a sweet spot in terms of pricing.